Members in the growing TACA community! 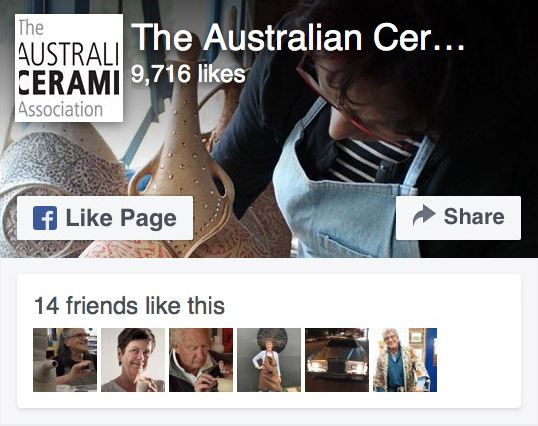 Connect with the Australian ceramics community via our Journal, the Australian Ceramics Directory and Touch Clay Weekly enews. Join our annual Australian Ceramics Open Studios – open your studio or visit others in the wider Australian ceramics community. Enjoy substantial benefits and remember our annual membership fee is tax deductible for teachers and practising professionals. TACA’s enewsletter, TOUCH CLAY WEEKLY, provides the latest information about events, exhibitions, workshops, grants, national and international opportunities. An annual event held in August at which members around Australia open their studios to the public. Whether you have a well-known or newly established studio, if you are an inner city group, a regional potter or in the suburbs, everyone is welcome to apply. Members are eligible to apply to the biennial exhibition held at Manly Art Gallery & Museum, Sydney; other opportunities include open studios, exhibitions and promotion at national ceramic events. FREE LISTING in the Ceramic Artists Directory, an important national reference for artists, organisations and galleries who specialise in the ceramics market. SECURE COVER. Group liability policy for potters, ceramic artists or any makers who use clay. The policy has been created for those who sell at markets or through galleries, demonstrate their craft to others, teach groups of up to 20, have studio sales, and/or rent a studio space. Read our INFORMATION HANDOUT or the full LIABILITY INSURANCE POLICY details issued by QBE. The Australian Ceramics Association is managed by a voluntary board elected by the members at the AGM held in September. All members are encouraged to contribute to the planning and realising of Association events. TACA members can express an interest to the Board in joining a sub-committee (exhibition, events, workshops, education). TACA Board meetings are held at regular intervals throughout the year. If you would like to attend, please contact TACA office by email mail@australianceramics.com. A special welcome is extended to country, interstate or international TACA members visiting Sydney, who would like to attend.